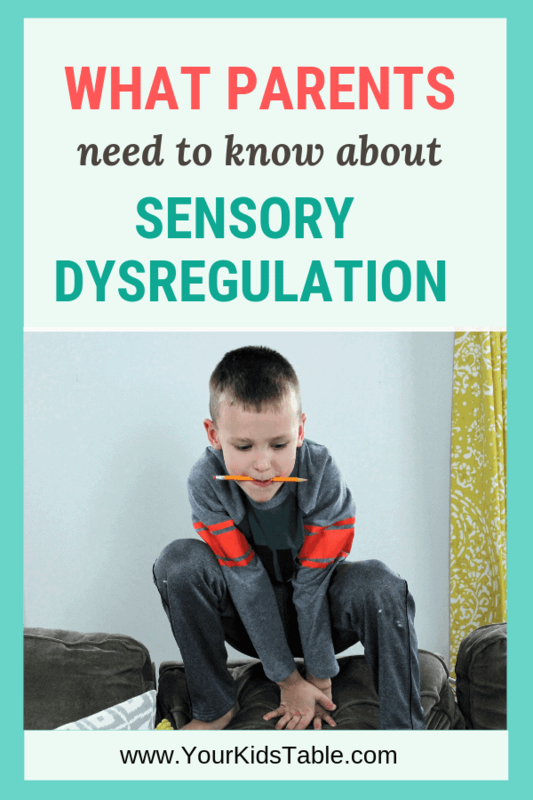 Learn what it looks like for your child to be in sensory dysregulation and how to help them get out of it and prevent it in the future. Most days at school she was a handful. Teachers were on guard, ready to put her behavioral plan in effect because Zoey* would refuse to listen, and at the age of 5, even get aggressive. Her fiery red hair would blur as she quickly ran around the room. Sometimes, she’d throw things or knock a desk over. It was a serious situation, and as adorable as this child was, the adults in her life were often walking on eggshells waiting for her to get out of control again. When Zoey showed up on my caseload, I was well aware of her reputation. 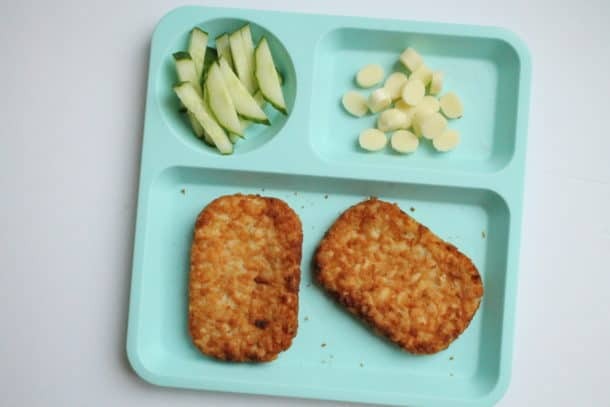 And, as her occupational therapist at school, I had fine motor goals we needed to work on, but once I spent some time alone with her, it became evident that at least part of her behaviors were because she was in a state of sensory dysregulation. While Zoey’s story is rather extreme, and, in truth, Zoey had a diagnosis of Autism and history of drug exposure in utero – both are known to cause complex sensory issues, many children without any diagnoses experience sensory dysregulation. Sensory dysregulation is when your sensory system is out of balance. This happens when the sensory system either gets way too many sensations to process at one time or not enough. Our sensory systems are always at work in our brain. It takes in the light, smell, and sounds in our environment and decides if and when we need to respond. For kids that have sensory “issues” or challenges, their brain may be highly sensitive to certain types of sensations as the brain is constantly sending the message to pay attention to every little sensation. Imagine how overwhelming that would be! Let me give you an example, imagine putting your hand into something you can’t stand the feeling of. Maybe it’s pumpkin guts or maybe it’s a bucket full of slugs (I’m gagging just thinking about it). That might sound like a severe example, but that’s exactly my point. If your brain processes sensory input well, then you might have to get extreme to relate to a child that experiences sensory dysregulation on a regular basis. But, back to the slugs, you’ve put your hand into something you can’t stand the feeling of. The feeling of those slugs would make my hair stand on end. I’d scream. I’d run around shaking my hand. I’d wash my hand vigorously, rubbing very hard. And, if somebody dared try to talk to me, I’d either ignore them because I couldn’t muster a response or I’d snap a nasty response at them. For a brief time, I’d experience sensory dysregulation. And, this list could go on and on, for all sorts of sensations. 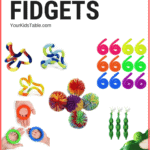 Often times, many of these sensations are bombarding a child at one time and causing the dysregulation. Why You Might Miss Sensory Dysregulation in Your Child? This is why it’s incredibly easy to miss sensory dysregulation! Your child isn’t putting their hand into a bucket of slugs or pumpkin guts, heck you don’t even know what happened. All you know is that your child is crying, wound up like crazy, or is ignoring everything you say. 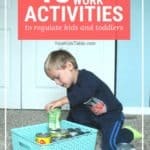 My son Isaac can become dysregulated when he doesn’t get enough movement, and he needs a lot, more than the average kid. Isaac doesn’t have a diagnosis, but like most sensory seekers, will take his sensory needs into his own hands. That involves semi-dangerous behavior: too roughly wresting his brothers, climbing furniture, or crashing into things that aren’t meant to be crashed into. When I speak or even yell at him, it’s as if he doesn’t hear me. And, he probably doesn’t. His mind is so darn focused on getting his sensory system back into balance that he can’t. Sensory dysregulation can look like being bad, it’s the simplest conclusion since so many never learn about sensory processing. In part, that’s exactly what happened to Zoey, and it’s certainly happened to Isaac too. She was difficult to say the least, but her behaviors were also misunderstood. When a child reaches sensory dysregulation and you try to snap them out of it, they’ll respond with a fight or flight reaction. That means they’re going to have a meltdown/get aggressive or run for it. 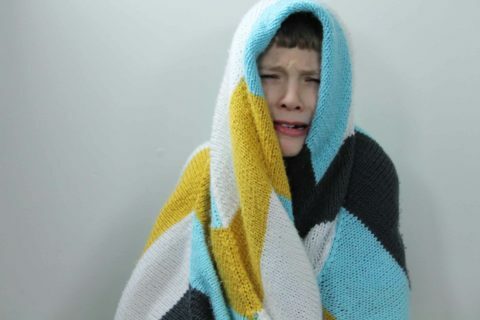 Some kids will also just freeze as if they’re paralyzed. And, as a parent, that’s when you begin to feel like you can’t win. But, that’s far from the truth, because when you begin to understand your child has sensory needs that can be addressed, it changes everything. I’ve already given a few ideas of what dysregulation looks like, but I want to be crystal clear here because dysregulation is a range itself. 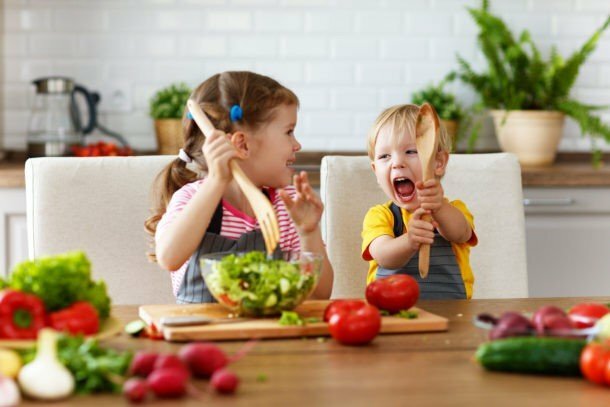 As soon as a child needs some sensory input or needs to avoid some sensory input and can’t, they’re technically dysregulated because their sensory system is out of balance. Many kids will make tiny tweaks to get the sensory input they need and put themselves back into regulation. For instance, you child may chew some gum, the top of a pencil, or their own shirt to get some sensations that satisfy what their looking for. Or maybe, they slide on a pair of noise cancelling headphones at the parade to reduce the noise that’s hard for their sensory system. That’s the essence of a sensory diet, it’s using tools and activities to keep a child in regulation. But, that doesn’t always happen, and for a lot of different reasons. A child may not know how to make those small tweaks, the parent doesn’t, or the sensory needs are bigger and more powerful strategies are needed to avoid dysregulation. Because when dysregulation begins and is left unchecked it will get bigger. And the bigger it gets, the more difficult it is for a child to get regulated. This is when we see that flight or fight response. Lastly, keep in mind that dysregulation can be caused by the need to have more sensory input (aka sensory seeking) or by a sensory sensitivity, when they’re getting too much input. A classic example of the too much input is a child that has a meltdown in the middle of the grocery store because the fluorescent lights are too bright and they’re making a buzzing noise. If you’re child is minimally or moderately in sensory dysregulation, then do what you can to reasonably meet their need. Can they wear a pair of sunglasses in the store? Or, can you let them jump on their bed? But, if your child is in full sensory dysregulation, you’re likely past the point of supplementing with an activity. 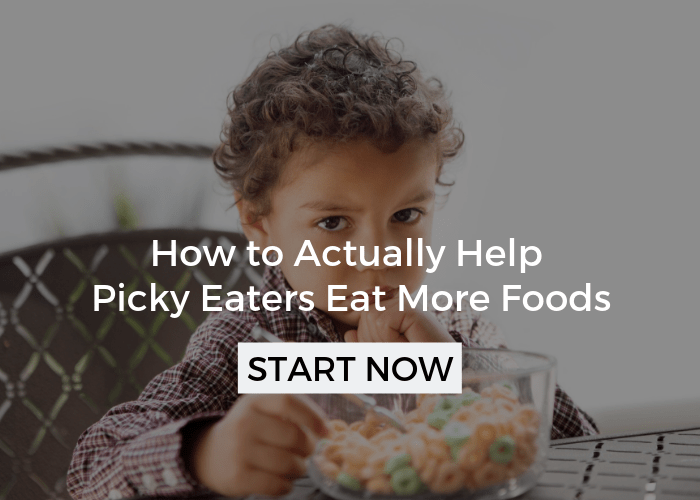 First and foremost, if you suspect your child is dysregulated because of something in the envirionment (noise, lights, lots of people, smell, a food, etc. ), remove them quickly. 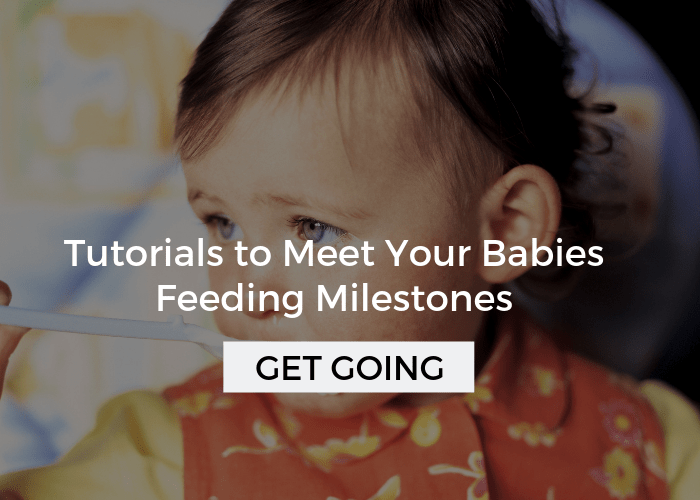 The next step involves some thinking through what your child responds to the best, and if you’re not sure, it may take some trial and error. Some kids prefer to be totally left alone. They need to decompress in a quiet space. Sensory tents that allow them some space are helpful for some kids. Other kids may need a big deep hug or gentle rocking. And, some kids will need to bounce on a trampoline, get on a swing, or run around outside. 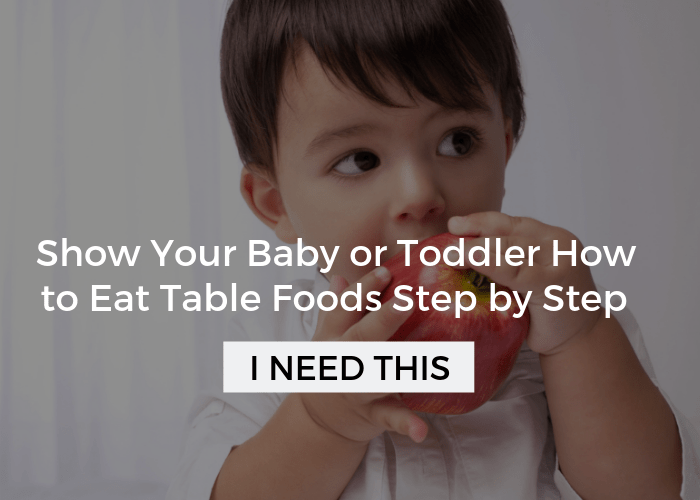 It varies from child to child and can even change from day to day with the same child. The most important thing is that your child learns that you’re there for them, and as you begin to figure our their sensory triggers and needs, you’ll be able to support them better. Once they’ve calmed down or come back into balance, then it’s a good time to talk about how they were feeling. Can they identify what bothered them or what they needed? 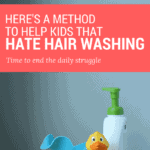 Depending on their age, they may be able to. Either together or on your own, make a small list of ideas that could help prevent the sensory dysregulation the next time. 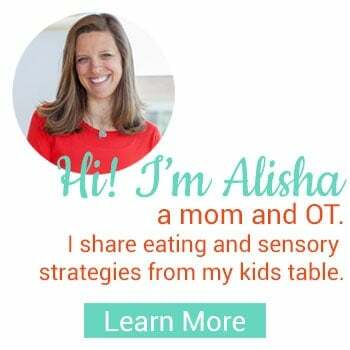 And, if you need some ideas, I’ve got a ton of them over in Sensory Diet Activities. What About Other Sensory Red Flags? 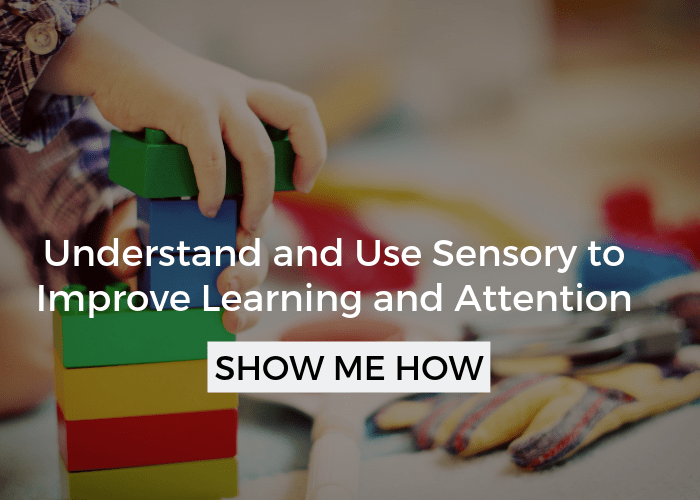 Our kids drop us clues all the time about what’s going on with their sensory processing, but if we don’t know what to look for, we could be missing it! Download my free 21 sensory red flags below and I’ll send it right to your inbox.